Joanne Mesec is a Registered Reflexology Therapist, and Nutritional Consultant. Joanne’s approach to health incorporates the whole person. She believes that by adapting a health-enhancing diet, and living an active fulfilling life, many challenges of ill health can be overcome. As a holistic nutritionist, Joanne is professionally trained in nutritional therapy and lifestyle practices. 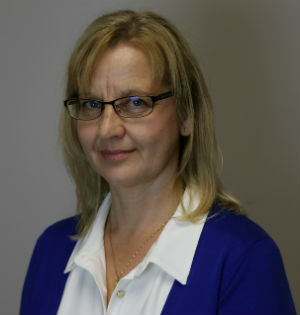 At City Centre Health Clinic, her philosophy is to help people take ownership is their own health by guiding them through simple lifestyle techniques and providing them with recommendations regarding food, supplementation and lifestyle. Joanne believes that a body that is adequately supported has the potential to function optimally, even when ill health prevails. Reflexology is a gentle, non-invasive manual therapy where application of pressure is skillfully applied to various reflexes located throughout the feet. These reflex points correspond to specific areas within the body, and application of pressure to these points can have a direct influence on maintaining and normalizing the function of the related area of the body. Reflexology aims to alleviate tension within the body, improve circulation and promote a deep sense of relaxation and rejuvenation.